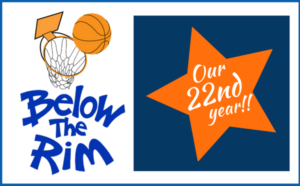 Below the Rim is a PROUD PARTNER with Jeff’s Place. Below, please find a flyer about Jeff’s Place, a sponsor package, and a kids sponsor pledge sheet. If your child wishes to get involved, the links on the flyer are clickable to SIGN UP and become a proud supporter today.